FYI: Due to schedule change (Easter Sunday) with the venue host – Willow Springs Raceway. 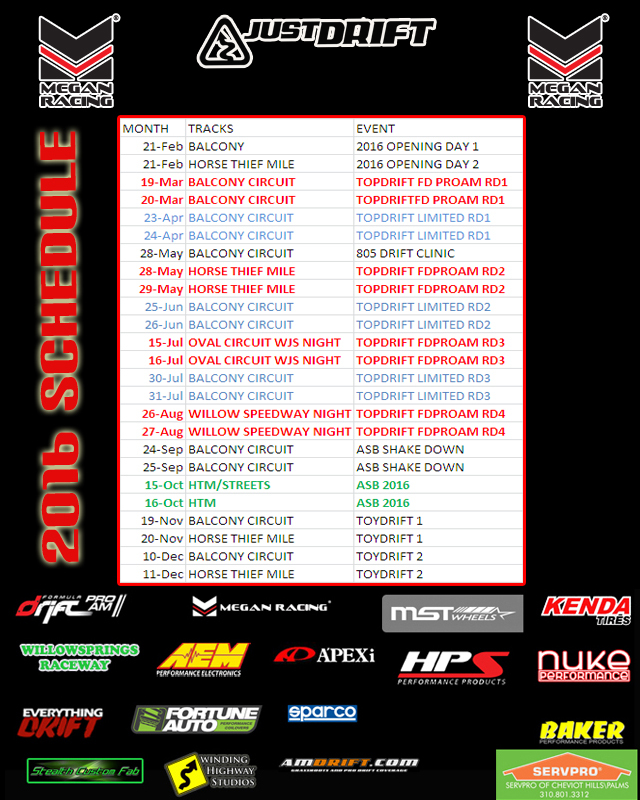 TopDrift round 1 has been moved to March 19-20. This brings the event 1 week closer, that means action start early. LET’S GET STARTED! LET’S GO DRIFT! 2016! REGISTRATION IS NOW OPEN FOR THE FEBRUARY EVENT! 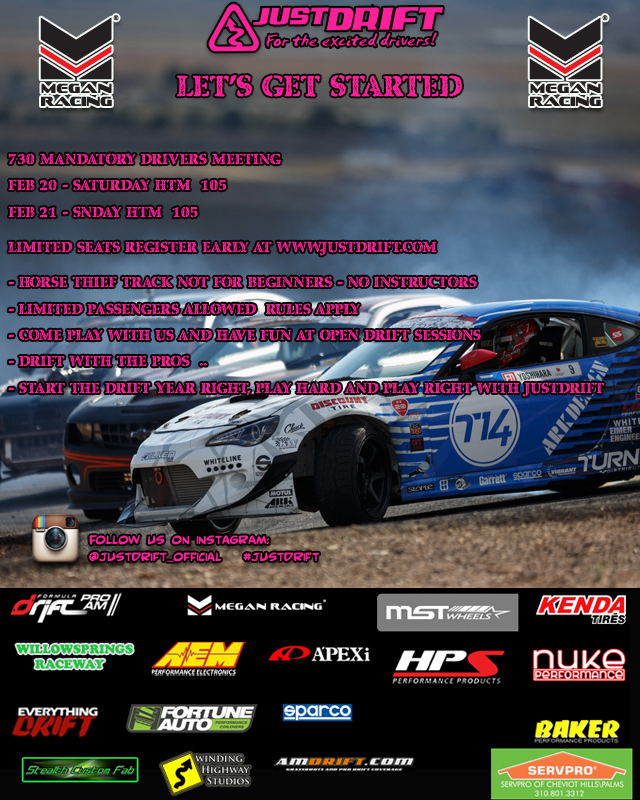 805SLIDE/JUSTDRIFT CLINIC IS ALSO HAVING AN OPENING DRIFT CLINIC FOR THE BEGINNERS AT BALCONY FOR BOTH DAYS! FOR THE OPEN DRIFT SESSION – CLICK ON THE REGISTRATION LINK! 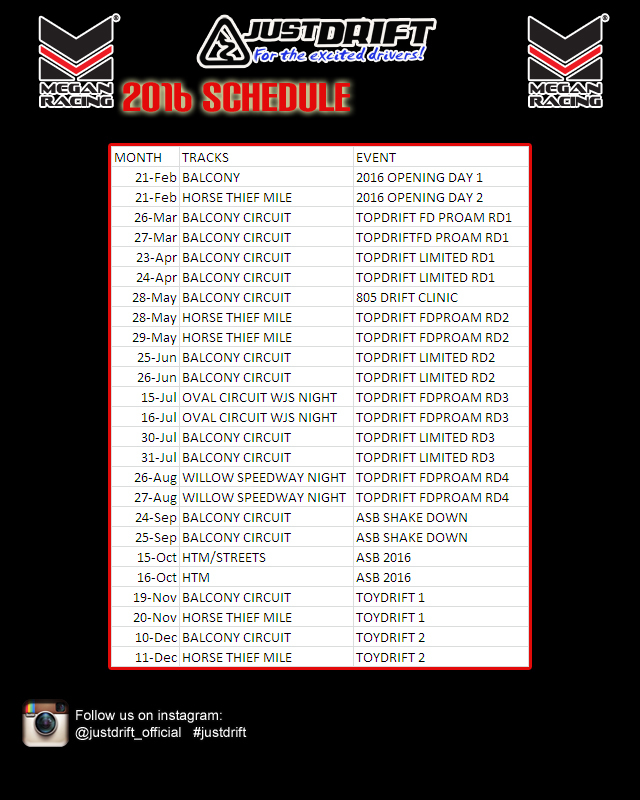 JUSTDRIFT | admin January 17, 2016 | Comments Off on LET’S GET STARTED! LET’S GO DRIFT! 2016!